Microsoft is making a big play for the living room with a new Xbox console that marries games with live TV, Internet browsing, music and Skype. The Xbox One could considerably expand Microsoft's presence in consumer electronics but is expected to compete with Internet TV devices from companies such as Intel, interactive set-top boxes from cable TV companies, and Sony's PlayStation 4. There's also a possible set-top box from Apple. 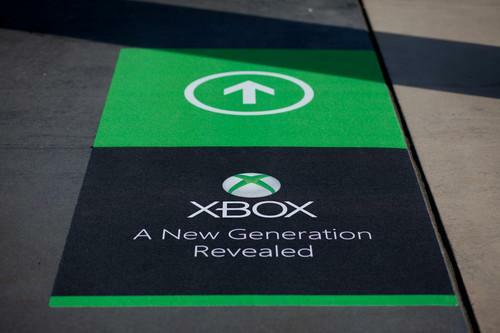 It was unveiled during an event at Microsoft's Redmond campus. A launch date was not immediately announced. 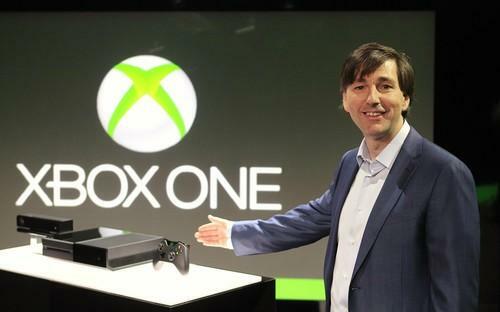 "Xbox On," said Yusuf Mehdi, senior vice president of Microsoft, as he began to demonstrate the device. The Xbox sprang to life and presented Mehdi with a home screen. Much of the interaction with the Xbox is done through voice, and Mehdi skipped through a series of commands during his demonstration. "Xbox, watch TV," "Xbox favorites," "Xbox, watch ESPN." The console didn't appear to have any problems understanding the commands and responded quickly to the commands. The Xbox One also features a Skype client and group video chat. "This is the beginning of truly intelligent TV," he said. The console features a new processor, 8GB of memory, a Blu-ray Disc drive and 500GB hard-disk drive and Wi-Fi Direct. It's based on a new architecture that combines a dedicated Xbox architecture with the Windows kernel, on which web apps are run. By the time the new Xbox launches, it will have been roughly eight years since the Xbox 360 hit stores. Computer hardware has become much more powerful over that time, but perhaps the biggest change has been to the game market. When the Xbox 360 launched in 2005, its biggest competitors were Sony and Nintendo. Today, a large part of the gaming market isn't dedicated consoles and handhelds, but cellphones. The global gaming market is worth about $65 billion, according to figures presented by Microsoft last week. Of that, $27 billion is generated by the console market. A further $12 billion is spent on PC games and $8 billion on handheld games for platforms like Sony's PSP and the Nintendo DS. New platforms are catching up fast. Around $10 billion is spent on mobile and tablet games, which puts phones and tablets already ahead of handheld devices, and a further $8 billion on social and browser-based games. Things began to change in 2007 when Apple launched the iPhone. Although it wasn't immediately obvious, the iPhone and the phones that followed changed the way people enjoyed games. While phones have already eclipsed handheld devices, they haven't offered much of a challenge to the living room domain of Microsoft and Sony, but that's beginning to change. In the last year, several phone makers have launched devices that match a powerful processor with high-def output so users can play cellphone games on big screens at home.